During queries, Postgres often sorts your data behind the scenes for optimization purposes. This primer should give you a better understanding of how this sorting works. Understanding the query plan or EXPLAIN output can be tricky, even for an experienced Postgres user. This is one of the best tools I’ve seen yet to help better understand how a query is performing. 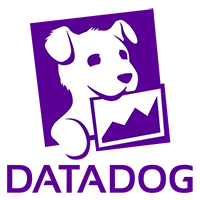 Datadog collects lock metrics over time, and can alert on changes immediately. With 50+ Postgres-specific metrics, Datadog helps you spot and fix issues before they're problems. If you didn’t know, Postgres ships with one foreign data wrapper out of the box – the Postgres one. Here’s a great write-up after extensive use on getting it set up and hands on with it. Checksums, made available in Postgres 9.3, are incredibly valuable to ensure your database doesn’t silently corrupt. But, as with most things they’re not free. Take a look at what performance impact turning them on may have. Files are hard was a great article that lays out so many of the issues on files and filesystems. As a response to that he laid out many of the choices in the popular extension cstore from Citus Data, a great read if you want to look at the internals of one approach to an interesting extension. Scenic makes it easier to work with database views within your Rails application– without having to drop down to raw SQL.